Our last trip to Bangkok was a special one. It was my first time to join a group tour, and it was a special tour. Organized by a Thai chef currently based in Manila (he owns Thai Dara restaurant), the tour, composed of around 20 people, was about experiencing food in Bangkok (and Ayutthaya) the way the locals enjoy them. 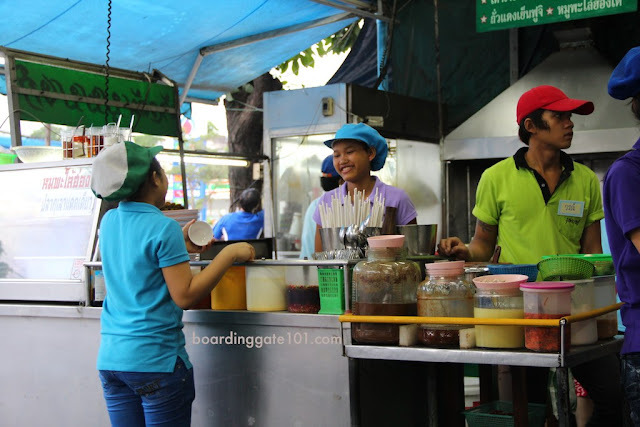 The choices of places that we went to for three days range from popular and high-end restaurants to a small street food stalls that locals flock too and no tourists normally go to, because the menus are in Thai and there aren't even pictures on the menu. One of two of them are even so obscure that I couldn't find them on Foursquare to be able to check in (by the way, that's how I remember the names of the restaurants we went to, by checking in on Foursquare). Here are the places we went to, chronologically and according to my Foursquare history. I recommend them to travelers who want to experience authentic Thai food in restaurants that don't serve banana pancakes. To make them easier to find, I linked them to Foursquare. 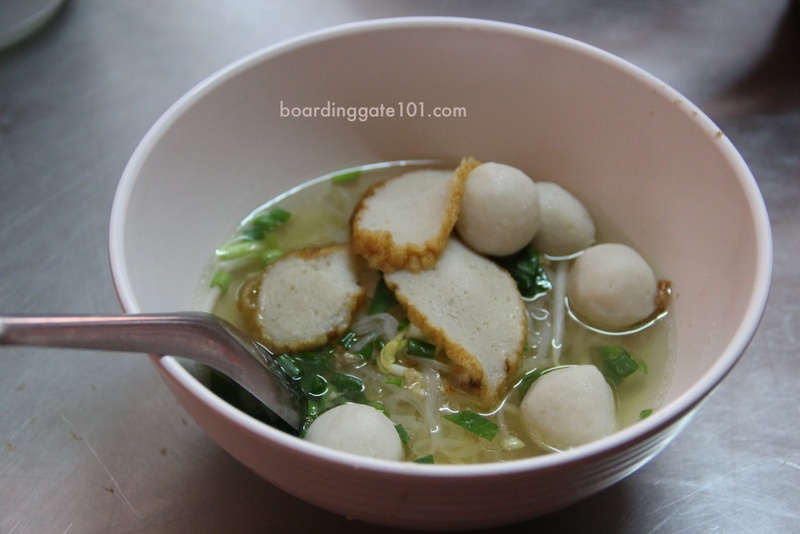 ก๋วยเตี๋ยวลูกชิ้นยักษ์ใหญ่_สาขาวัดใหญ่: this roadside restaurant in Ayutthaya literally means "big giant meatballs," and for a reason. 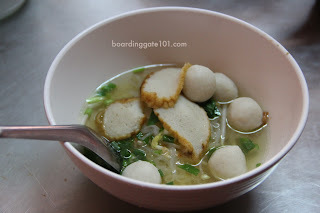 They serve the meatballs together with the noodles. 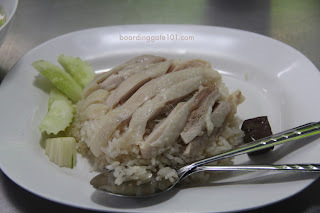 โก๊ะ ข้าวมันไก่ (Kho Chicken Rice): This restaurant is said to be owned by a celebrity. It is tucked behind a mall, and its specialty is broiled chicken served over rice. 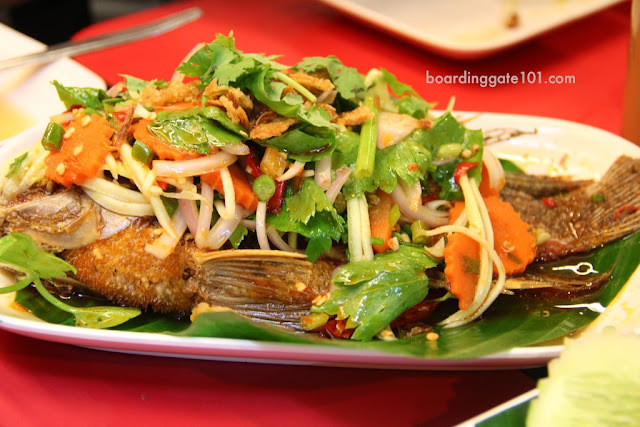 ส้มตำนัว (Som Tam Nua): This restaurant, located in an alley in Siam Square, is famous as it made into CNNGo's Best Eats 2010 awards. With that fame, it is easy to understand that this place gets busy, especially around lunch time. It took us nearly an hour of waiting time before we got seated. But it was all worth it, especially the som tum (green papaya salad). 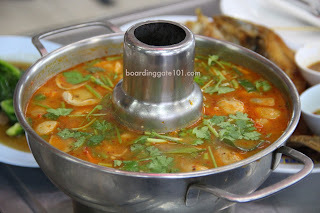 สมบูรณ์โภชนา (Somboon Seafood): this one, found in Bang Rak, has a decidedly upmarket feel to it. 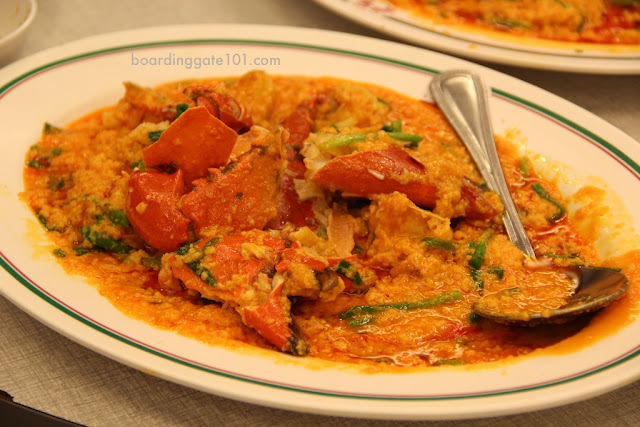 The speciality of the Chinese restaurant is curry crab. 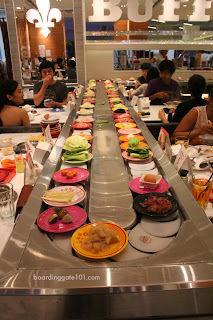 Sukishi Buffet (ซูกิชิ บุฟเฟ่ต์): This one is in the Central Plaza mall in Rama 9. The restaurant features a moving conveyor belt laden with fresh ingredients that range from meat, fish, seafood, mushrooms, and vegetables that you cook in a pot on your table. Sky's the limit here, so be sure to come in with empty stomachs. 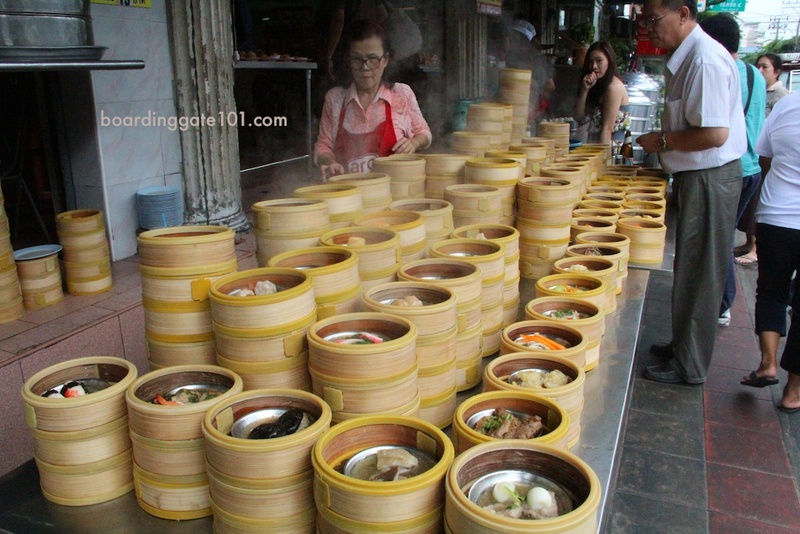 There are other places that we went to that I can't recall the names or haven't checked in on Foursquare, like that dimsum place pictured above, but I'm sure Jimmy the Chef would be happy to point them out to you if you join the tour. The package costs PhP 17,500, all in (airport transfer, transportation, hotel accommodation for 3 nights, plus the cost of the food. If you're interested you may contact James on his Facebook page or speak to him in Thai Dara restaurant.